Support incredible service and bravery award with this cast sculpture on walnut pedestal. 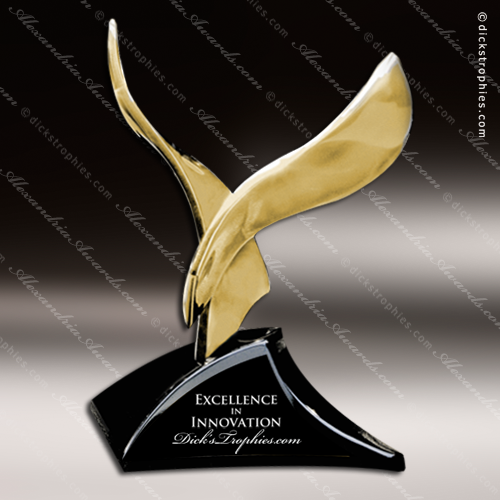 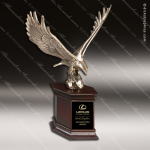 Cast eagle award with Antique Bronze finish is mounted on a mahogany finish walnut base. 13" Imprint 2 3/4" x 1 3/4"